The Dallas Morning News reports that, following an independent audit of the Texas Enterprise Fund, it has been revealed that $222 Million was given from the Governor-managed fund to entities that had not even submitted an application. The State Auditor, John Keel, released a tough report to legislators today that alleges the TEF has an inconsistent criteria they use to dole out the coveted money. Most of these handouts occurred in the inaugural years of the fund, which was created in 2003 (for those of y’all playing at home, Perry has been the Governor since 2000). 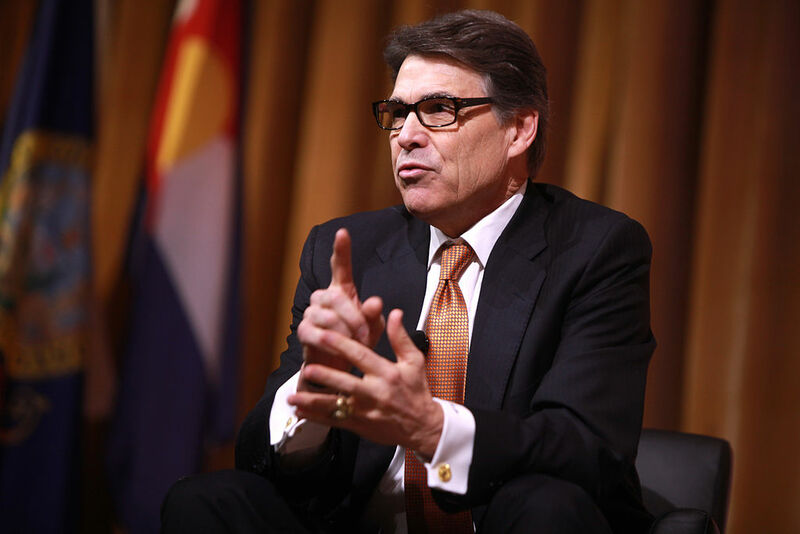 Perry’s office has defended the apparently capricious picks as kinks in the system that were quickly worked out as the fund got its start. Other revelations, however, were also released. Many of the reports on how money was spent and used provided incomplete summaries and details. Other money fell through the cracks when the State evidently did not recoup all the money owed to it when contracts were terminated. Some reports just outright lied. Within the News story is a bombshell that one such report alleged that 66,000 jobs had been created by one beneficiary rather than 48,000. That’s a fairly significant number to fudge. The audit reveals a culture of impropriety. One in which the desired conclusions influence data, not the other way around. The whole smell of it all is probably the most damaging portion of this report, rather than any of the individual details. Obviously, the total lies in some of the reports present a problem. But staff can always be blamed for that, in ways that can not necessarily be pinned back on the Governor. In my opinion, the greatest issues that occur deal with the entities that received the money without applying for it. Now, when one looks at the specific entities that got the murky money, they are reputable firms such as the University of Texas at Dallas and MD Anderson. None of them appear to have any financial link to Perry or any of his lemmings. That being said, things could change in an instant. The most important thing here is the appearance of impropriety. I suppose this could be a campaign tool for State Senator Wendy Davis (D-Tarrant County), the Democratic candidate for Governor. She did, in fact, first author the bill in the State Legislature that led to this office. And while Abbott supports many changes from the system described here, it could be a valuable campaign tool to continue the talking point that Republicans are too interested in picking winners and losers. Especially in light of the ongoing controversy involving CPRIT, this could very well end up being another piece of the puzzle, that inextricably ties Perry and other Republicans to possible impropriety/corruption. Ads! Ads! Ads! Ads! Ads! Ads! Ads! Ads! Ads! Ads! Ads! Ads! Ads! Ads! Ads! Ads! It’s the season for campaign ads, obviously. Just in the past few days, the campaigns of both State Senator Wendy Davis (D-Tarrant County), the Democratic candidate for Governor, and Attorney General Greg Abbott, the Republican candidate, have each released two new 30-second commercials, respectively. Both of Davis’ continue in her tradition of negativity, while Abbott’s stand at one positive and one negative. In the succeeding paragraphs, I will attempt to briefly explain some of the recent commercials, what their immediate implications are and some of the deeper things to start thinking about with these airing on television. Now, I’m not a very prolific watcher of live TV, and all too often I merely stream programming from Houston on my television (Houston Astros games are hard to come by in Austin). Accordingly, I cannot say from firsthand experience how often these have been coming on the airwaves at, say, primetime as opposed to during weird hours. In the first Abbott ad, the video cuts into him literally sitting on a large floor map of the United States, specifically over California. He then travels over to the Texas section, all the while narrating why companies are reportedly ditching the Golden State for the Lone Star State. Then, as the grind climax, the Texas section literally raises up as a podium. The entire thing is cheesier than Gouda. And while Abbott gives some specifics about low taxation and competitive regulation, the dialogue seems almost of second importance. The subliminal messaging is quite clear: what may originate in California will eventually end in Texas. It’s a tired phrase that has undoubtedly entered the political lexicon in Texas. Additionally, and perhaps it’s just me, but I found Abbott’s wheelchair to be somewhat prominently featured in the ad. The camera is zoomed out far enough that you see all of him –not just his face– and then he very obviously rolls his chair across the mapped floor. I’m probably making too big a deal of it, but it stuck out to me. Abbott is obviously not averse to using his wheelchair/disability as a political tool to resonate with voters, given by the subject material of his first TV ad. Second for the Abbott ads, in yet another 30-second spot that was released today, Abbott goes negative. He connects the dots about some broad shadow attacks that have been flung around at Davis for the past few weeks or so, regarding alleged conflicts of interest between a title company that she partially owned and contracts she voted on while serving on the Fort Worth City Council. The Dallas Morning News provided a pretty concise and fair summary of those issues rather recently, so I would suggest checking it out. The most important line from the report was that Davis never actually violated the ethics policy of the City of Fort Worth, nor engaged in any actual wrongdoing. The connections are supposedly just too close for comfort for some, I guess. Obviously, it is a big deal that Abbott is going negative. He feels obliged to go down the road of more risk and more reward, rather than playing it safe with more of these sappy, positive shows of pathos. An argument could be made by someone more optimistic than me that this is a good sign of Davis closing the gap. Davis’ fourth ad, entitled “Time Went By,” deals with the alleged gap between the uncovering of abuse at a juvenile detention center and the Attorney General’s (Abbott) response. The allegation has now received a “Mostly False” designation from PolitiFact. The scandal occurred in 2005, when Texas Rangers began investigating abuse at the facility and, sensing delay from local prosecutors, one ranger appealed to the Attorney General’s office. What the Davis ad leaves out is that, under state law, the local prosecutor needs to ask the AG to step in. In 2007, after the scandal was leaked to the press, Abbott’s office indeed vigorously prosecutors the abusers. Continuing in the tradition of negative ads with dark, ominous narration and no interaction on the part of Davis, this ad is yet another disappointment. Negative ads are an effective way to make an impact in a campaign, and I thought her first TV ad was a good way to do that, but dishonesty should never be tolerated in politics. It cheapens the process for all involved, on either side of the aisle. There are plenty of things to rightly knock Abbott on, but this is just not one of them. Obviously, the make takeaway here is that Davis’ ads are all about how Abbott merely uses his office to “cover” for insiders. Last but not least, Davis’ most recent ad, which was also first released today. This story was described in somewhat vivid detail a few months ago by Texas Monthly, and –once again– I recommend checking it out. The surgeon involved, Christopher Dunstch, maimed and killed quite of few people before eventually being taken out of commission. In a lawsuit, restitution is obviously sought, but the constitutionality of a major tort reform law is also challenged. The reason is that the current tort reform law currently has an absurdly high standard, “gross negligent,” for these types of holdings. Accordingly, before monsters like Duntsch can be removed from their capacity, quite a few atrocities sometimes must occur in order to prove the aforementioned gross negligence. The ad states that Abbott, after receiving $250,000 from the hospital’s chairman, intervened in the law to defend the hospital. This much is a tad bit misleading; he actually defended the constitutionality of the law. Still, the apparent quid-pro-quo should be unsettling. And defending the bad law, for all intent and purp0ses, defends the hospital. I don’t know how Politifact will rate this one, but I am overall comfortable with its use. Hopefully, it is effective. Once again, maybe I am over-analyzing this, but did anyone else notice the huge difference in aesthetic quality of the ads? The Abbott map ad looked to be poorly shot, and the attack ad was –in a word– cacophonous. I could be wrong, but it looks like the Davis campaign is putting more time and money into the production of the advertisements themselves. Like I said, I had two finals and an 18 page page paper due today, so I did very little blogging over the weekend. That being said, I would like to examine the big things I missed. Sophia is going to be at the Harris County Democratic Party headquarters this evening to follow the drama of last-minute filings and the like, and we’ll work on a somewhat comprehensive article on that topic either tonight or tomorrow morning. Also, I realize that Justice Larry Meyers of the Court of Criminal Appeals switched parties today, but I will be discussing that in greater detail in another post. First and foremost, the Texas Tribune reports that the long-plagued CPRIT (Cancer Prevention Research Institute of Texas) is back in the news as one of its officialls has been indicted on charges of impropriety. This investigation, spurred by the Travis County DA’s Public Integrity Unit, is focused on Jerry Cobbs. He is accused of doling out contracts to his friends unlawfully, a first-degree felony, possibly punishable by life in prison. Sophia beat me to the punch on this story, as did Brains & Eggs, Burnt Orange Report, Off the Kuff and South Texas Chisme. Click here to read about more stories!